Finding consistant employment and stable sources of income generation are concerns that plague many people in Kenya. Unfortunately, many KELC members, especially women in our churches struggle to find steady sources of income. The Women’s Department has recently started a new farming program to help women earn income to support their families and communities. 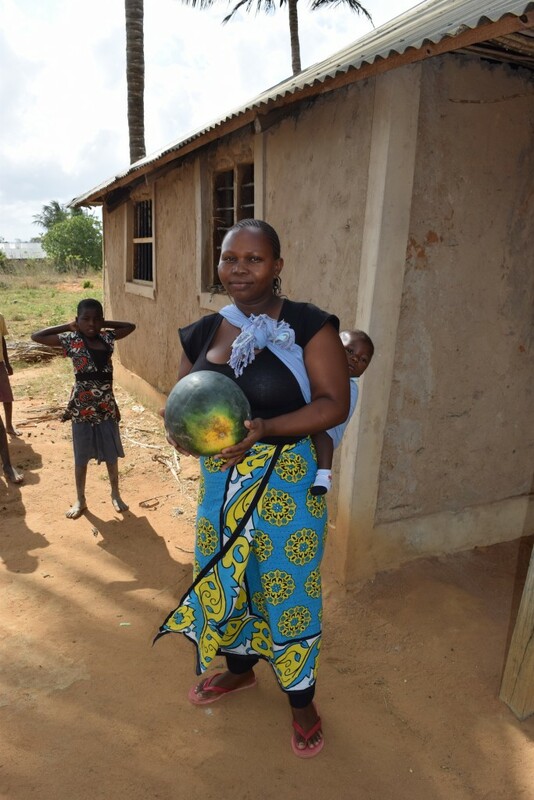 The Kakoneni Watermelon Project is a new farming initiative started by the Women’s Department to assist women living in the coastal region of Kenya. This project is the starting location of a farming program to introduce employment opportunities to women in KELC communities. Kakoneni village is located within Malindi Parish. In this area there are few employment opportunities. With the lack of employment and income, families struggle to provide food, clothing, and school fees for their children. Many children are not able to attend school beyond Class 8, as their families are unable to pay the school fees. Without adequate education, young people are stuck in the same cycle of poverty and are unable to find employment to improve their lives and their prospects for the future. 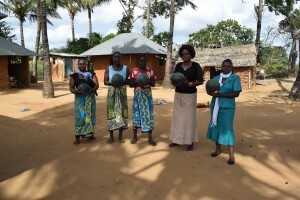 The Kakoneni Watermelon Project is bringing employment opportunities to a group of 35 women. 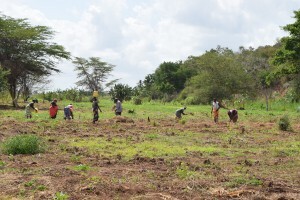 Through the program, the farmers have received educational instruction from the local government agricultural officer about proper planting, fertilizing, and harvesting techniques. They have received assistance to identify potential buyers for their produce, and they were assisted in selling their first crop to be sold in local markets in Kenya. The people in the farming cooperative have worked together to create a successful farm and a reliable source of income. With the first harvest completed, each farmer had a small amount of profit. As a group, they agreed that they would tithe 10% to their church. They also invested in an official government certificate to register their farming cooperative with their local government. Some of the profit was reinvested in the farm and the remainder was taken home to their families for food, clothing, or school fees. The farmers are looking for other ways to expand their project. 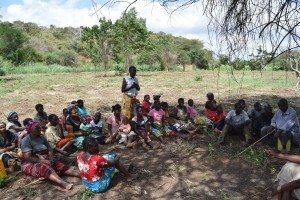 They have rented additional land near a river, which allows them to plant another crop in between the rainy seasons. Chicken houses are being built now, so soon they will also have livestock to raise. As the farmers look toward the future, they all agree that their main motivation is to be able to earn money to help improve the lives of their children, especially their daughters. This farming cooperative is composed of women from the community. They want to ensure that their daughters are able to go to school, so they can complete their education and find good jobs. They want better lives for their daughters and they see the possibility for more opportunities for their children through education. The other important goal for this group of farmers is to help other people in their community. They pray that they will be successful and can save money that they can loan to other groups of women to start another farming project. They will be able to loan money, as well as provide knowledge that they have gained into farming practices and methods to ensure optimal crop yield. The farmers are passionate about helping other people to be successful, in the same way that they have been assisted to be successful in their farming project. With the support and guidance that these women have received, they are on the way to being successful farmers. They are motivated and passionate about continuing to develop a successful farm that will provide livelihood for their families and their community for many years to come.